Are you ready to learn how to interpret dreams? When you understand your dreams, you can use this knowledge to help guide you through life decisions and challenges. 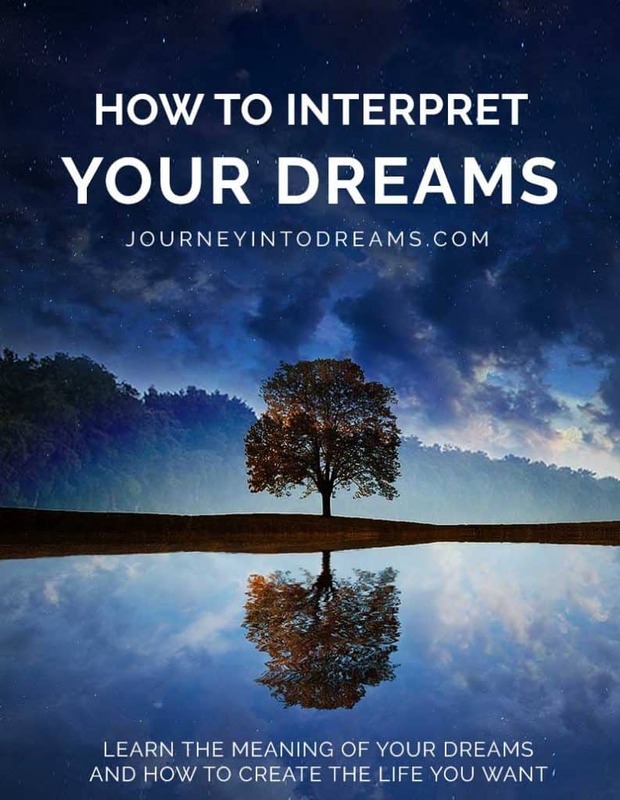 In this article, we will share some ways you can learn how to interpret dreams and become your very own dream interpreter - no dream dictionary necessary! Why Should We Learn How to Interpret Dreams? Dreams provide valuable insight across many aspects of life, and can deepen our knowledge and understanding of ourselves and the challenges we face each day. One of the most effective ways to understand what your dreams mean is to learn how to interpret dreams on your own. When you learn how to interpret dreams, you can start using this insight with all sorts of things in your life. Since dreams are so highly personal in nature, it is important for you to remember you are the best interpreter of your dreams. In this simple guide, we will share the basics of learning to understand your own dreams. Step 1: Write the dream down with as much detail as possible. The more details you can provide about your dream, the easier it will be to make associations and connections in defining your own symbols and meanings. Take note of anything that stands out to you. You do not always have to write everything down, but it is important to pay attention to the details. The more details you can provide, the easier it is to understand what your dreams might be about. Use adjectives to describe what you see. Are there any colors or numbers that stand out from the dream? Pay attention to the condition of things you see - are they broken, rusty and worn or are they in good shape and appear to be new? Step 2: Go back and read the dream you just wrote down. Say it out loud if that helps. Look for any words or symbols that stand out to you. Make a list of these words. It can sometimes be helpful to go through the dream with a pen or pencil and highlight any words or themes that stand out to you. You can see example of how to do this with our colored pencil method for dream interpretation. While reading the dream, determine what type of dream it might be - whether a simple release dream, a message dream, etc. If you're not sure what type of dream it was, see our article on Types of Dreams. It is also very helpful sometimes to think of your dreams as a story. Think of your dreams as a story where there is an obvious setting, characters, and plot. This can make it a lot easier to find themes and identify potential symbols and metaphors in a dream. Once you've identified what things stand out the most, make a list of the important symbols in the dream. This could be characters, a setting, or even an action. Now that you identified the focus points of the dream, you are ready to start interpreting what it may mean. While we offer dream symbol look-up here for a number of popular dream symbols, the best way to truly understand what a dream means is to come to your own conclusions on how the symbol relates to you and your life. What personal experience do I have this symbol? What emotions or thoughts do I have about this symbol? How did this dream make me feel? What current and past events in my life relate to these similar thoughts and feelings? Once you have answered these questions about the symbols, you will have a greater understanding of what they mean and will likely be able to make a connection on how this dream relates to your waking life. It can take much practice to be able to interpret a dream - and some dreams it may even be a few days before it finally makes sense to you. Make it a regular practice to write down your dreams and what they may mean to you and you will start having more and more success in understanding their meanings. Many dreams are based on what you think about right before falling asleep, or can be caused by events or stress in your daily waking life. Ask yourself - what is happening in your life right now that might be influencing or causing this dream to occur? Sometimes dreams can cause us to bring up old feelings of the past. It's not uncommon for your dreams to surface emotions from old things that happened a long time ago. It may be time to release these old emotions and move on. Track Your Moods, Feelings, and Emotions! Often times, if you wake up with strong feelings when you wake up after a dream, this is a message for you to understand an important aspect of your life better. Keeping track of your mood in dreams and in your regular waking life can often help you with understanding what you can do to help improve your life and stay on track with your goals. Do you have any questions on how to interpret your dreams? Share your thoughts in the comments section below!